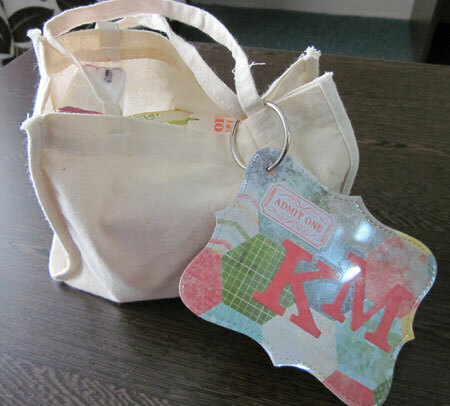 tags: Convention, Gift Giving, Stampin' Up! My lovely downline Shirley gave me this awesome present at Convention. A beautiful Tag to add to my Convention Bag (think I have already shared my Convention bag and tag) was attached to a gorgeous little calico bag. You may wonder why I needed to be reminded which was my bag (no it’s not because I am getting old and senile) – with 700 demonstrators all carrying the same bag you definitely need something to let you know which one is yours. 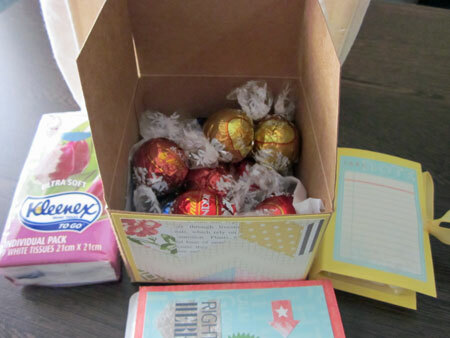 Inside was a gorgeous box which Shirley decorated and filled with chocolate (of course). She also included tissues, Tic Tacs and some gum all the necessaries for enjoying a fabulous Convention. I took these photos while I was at Convention and this is the first chance I have had to share them. Thanks Shirley for being such a great friend. Next Convention is going to be in Melbourne and I truly hope that I can go and be part of this fabulous event once again. It is a wonderful experience, not only enjoying all the things that are on offer in the way of classes and techniques, new products to play with etc. but to meet and spend time with people who I only know online. If you think you would love to be part of this fantastic company so that you too can attend Convention 2014 in Melbourne, then contact me and we can discuss how to become a Stampin’ Up! Demonstrator and discover just how wonderful that can be. 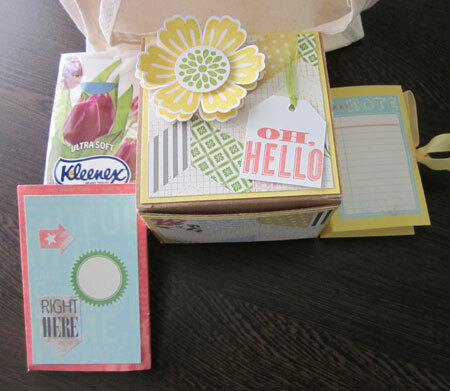 from → Convention, gifts, Stampin' Up!